Cannot find the product you are looking for? 3.5" x 8.5"4.0" x 9.0"
Don't forget to enter your Postal Code below to get delivery dates and shipping options. You can upload your print ready files once you add this item to your cart. Please select preferred size and printed sides in the calculator before choosing an option below. Why? Design from scratch using our online design tool. Need product faster, quantities above available or custom options? Effective marketing is the key to success for every business. Although what you do is important how you present yourself and your services is even more important. 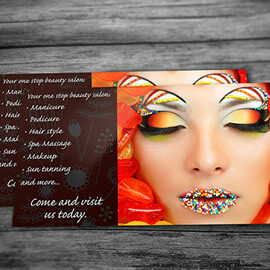 One of the most significant ways of introducing your business to others is through your Rack Cards. With our Standard Rack Cards product, you can order as little as 100 cards at a time without sacrificing the quality. 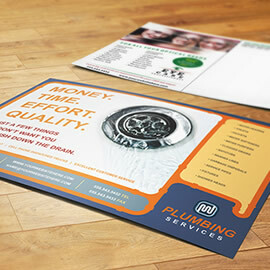 Printed on high grade 14PT Coated Cardstock make them look and feel professional to match your business. This product is also a go-to product if you need to have cards done fast. Produced on high quality digital presses, make them irresistibly good. 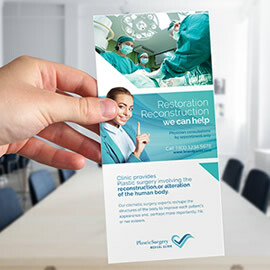 The best use for Rack Cards is to have them in our office or retail space advertising products and services you and your business have to offer. 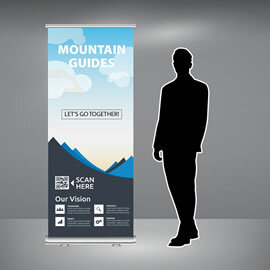 Heading out to the trade show? 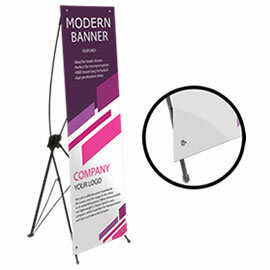 Why not to grab your professionally designed rack cards and display them at your booth. A non-ordinary size make them perfect for mailing campaigns. 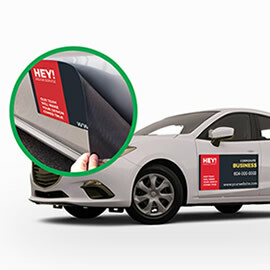 Incorporate promo or a discount in the design of the rack cards to drive more attention or increase your sales. 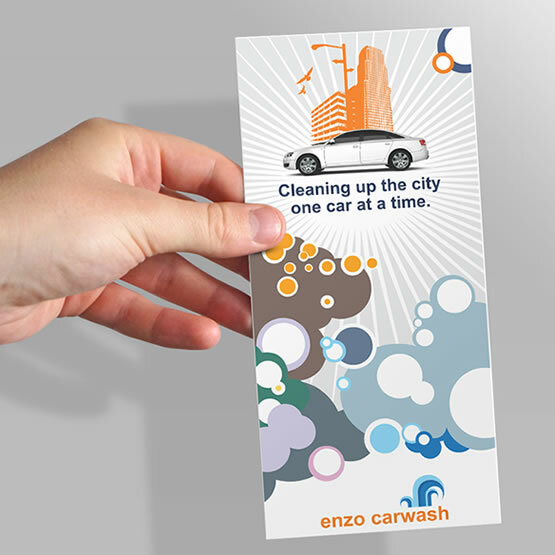 Design rack cards online using our sophisticated online design tool. 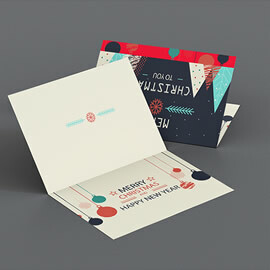 When designing, keep in mind that colour is important and go wild designing colourful cards. Not enough creativity to design yourself? Let our professional and creative design team help you with that task. Our design team always go an extra mile to make sure our customers are satisfied with the final design. For custom sizes, finishing options and quantities over 500, please do not hesitate to request an estimate, and one of our customer service representatives will be happy to get back to you with an estimate. as low as 16¢ ea. 2 ft. x 5 ft.
33" x 79" or 47" x 79"
Your one stop online print shop. © 2019 Print Factory All rights reserved.